The English writer Samuel Johnson famously once said “when a man is tired of London, he is tired of life; for there is in London all that life can afford” – and this Londoner couldn’t agree more. Despite having moved myself half way across the world, my hometown will always be in my heart. Coming back to visit for Christmas has been an absolute treat. As well as baking lots, hosting a Colombian themed party and, of course, eating my body weight in turkey and chocolates over Christmas, I have also been lucky enough to eat a lot of meals out. Here is a rundown of some of my recommended spots for those of you hanging around in this brilliant city. Bintang in Kentish Town is one of those places you can rely on. 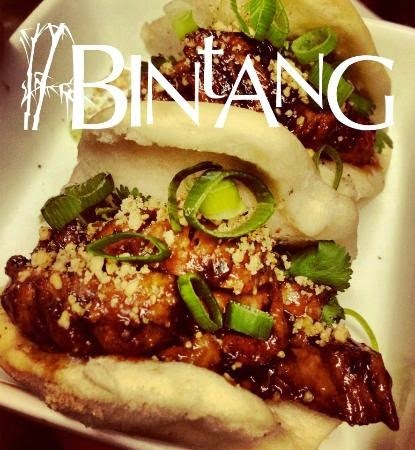 Good food, friendly staff and great value, it serves up tasty pan-Asian food with dishes which take inspiration from all corners of the globe (crab empanadas and roti breads feature amongst more traditional dishes such as pad thai and tom yum soup). I should also mention it is BYOB – an instant plus in my books, and with the most expensive dish on the menu at £13, Bintang is a definite cheap eat. Grab some friends, buy a bottle of wine and enjoy – recommended dishes include the gua boa rolls and the seabass. Amidst a day of Christmas shopping on Oxford Street, my mum and I bypassed the usual chain restaurants for lunch and took a chance on a small sushi bar just off Oxford Street. After battling the slightly confusing menu (as it would seem, you could essentially order any fresh sushi you fancied), we sat ourselves down in Atariya. 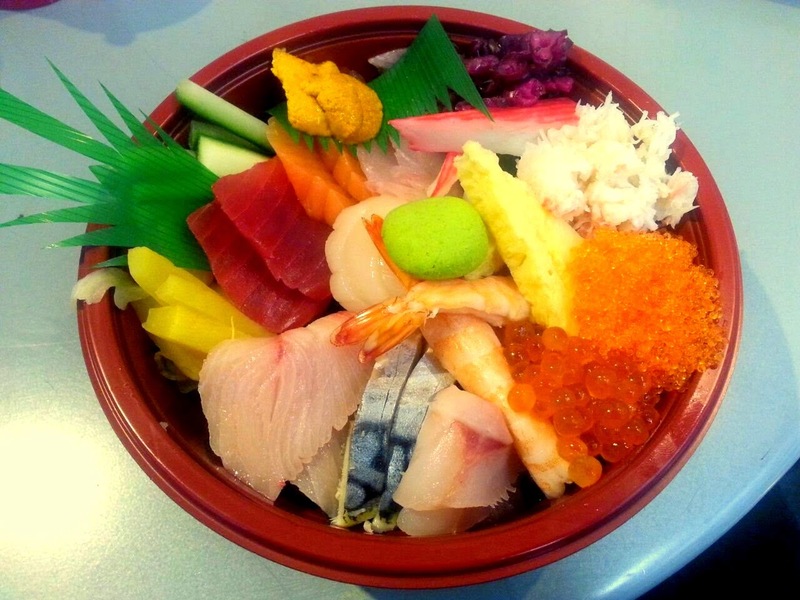 This deluxe mixed sashimi-sushi bowl above was a combination of tasty sushi rice, crunching veg and Japanese pickle, a wide array of sashimi, along with fish eggs, crab, egg omelette and even sea urchin (odd looking, rich and creamy tasting). It was a very good choice – this bowl was such a great mix of things I wouldn’t have otherwise ordered. Along with two miso soups, edamame beans, six tuna rolls and two drinks the whole lunch was £28 pounds. For an authentic sushi lunch mid-shopping session at £14 pounds a head, Atariya proved to be a gem of a find. Nip in next time you’re in Oxford Street for some fresh and wonderful tasting sushi made to order. Faced with so many choices for places to eat in London, I’ve been trying to eat food that I know I won’t be able to find in Barranquilla. Although Barranquilla actually does offer up great Arabic food, it is mainly based on Lebanese dishes – and while that is all delicious, I am a sucker for a Turkish (just check me and my meat mezze in Golders Green). Queue a visit to Kilis Kitchen, off Upper Street. 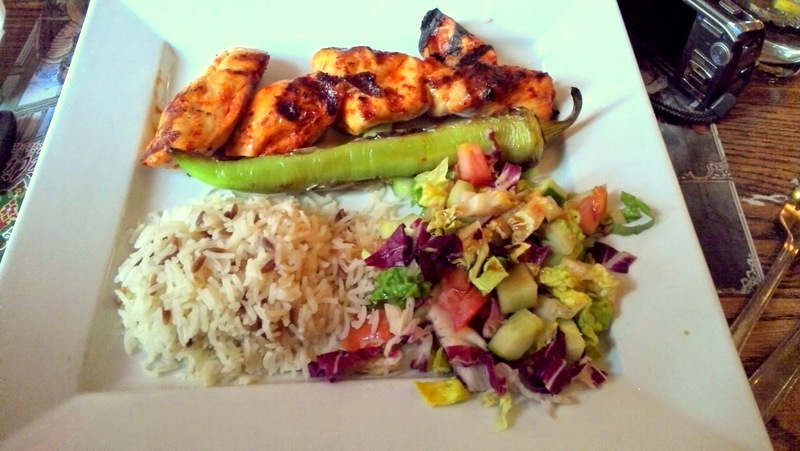 A mix of Turkish, Syrian and Lebanese cuisine, here we enjoyed a set lunch, which offered a great selection of dishes, including old favourites such as shish kebab along with some dishes I hadn’t tried, such as a Kisir starter – cracked wheat with walnut and hazelnut, with a mixed herb sauce. Although the service was a little slow, at the price of £7.50 two courses, or £10 with dessert, I thought the food was excellent and extremely good value. Sadly we were all too stuffed for pudding, which was a shame as options included rice pudding, crumble and stuffed figs. Next time I’ll save room, as I will definitely be returning. Moving on from one set lunch to another, it would appear the Bidmead girls are suckers for some lunchtime value. However…here it gets a little fancy. 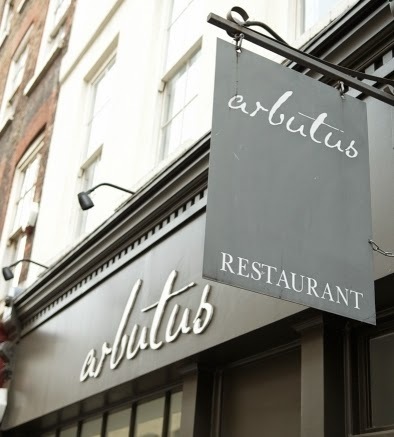 Arbutus is a Michelin-starred bistro restaurant, where the kitchen’s aim is to ‘turn seasonal and inexpensive food items into affordable and interesting dishes’. At £20 for a set three-course lunch, this is accessible fine-dining which provides unique twists on classic dishes. My meal here included rillettes of pork for starters (similar to a terrine or pate) with the most incredible lamb for mains, accompanied by a tangy goat’s curd which was perfectly contrasted with sweet, cooked clementines. We topped these dishes off with a classic English custard tart to finish. My mum chose more or less the same as me while my sister, the fish-eating vegetarian, had sardines for starters and sea trout for mains, both of which looked (and tasted) exquisite. While a Michelin-starred restaurant is hardly the first thing to pop up when thinking about cheap eats, Arbutus is a great place to be able to experience something a bit special. 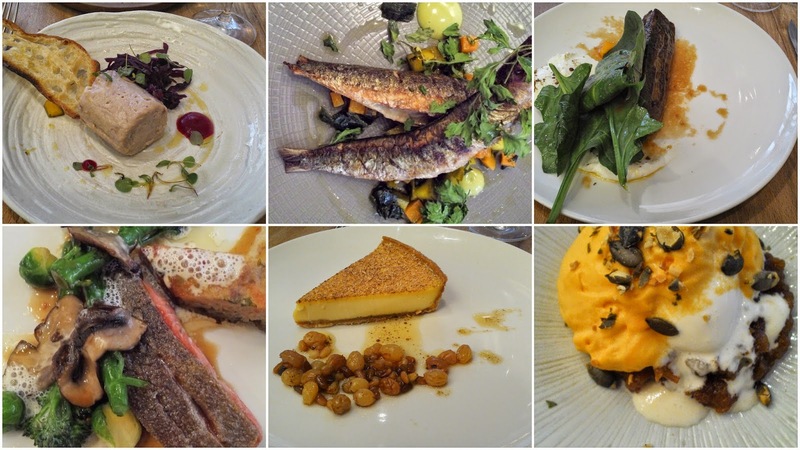 £20 for three courses is outstanding value when thinking about the quality of the food, and if you are looking for something a bit different I cannot recommend it enough. (It does get busy so booking is recommended, if not essential).